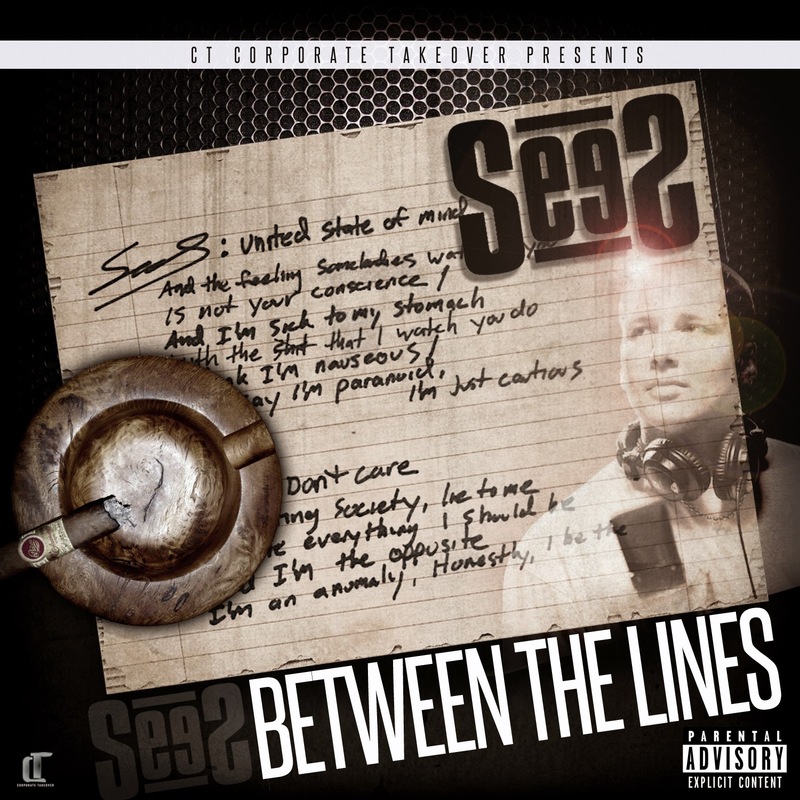 SELF MADE CT MUSIC AWARDS: SHOW YOUR SUPPORT, VOTE FOR SEES! I AM GRATEFUL TO BE RECOGNIZED FOR THE SUPPORT I SHOW THE STATE, MY GRIND, AND MY MUSIC. I GREATLY APPRECIATE THOSE WHO NOT ONLY VIEW THIS POST BUT TAKE THE TIME TO EMAIL AND VOTE FOR ME. THANK YOU! PLEASE EMAIL SELFMADEMUSICAWARDS@GMAIL.COM AND VOTE "SEES" FOR "ACHIEVEMENT AWARD", "DREAM CHASER," AND "BEST WORK ETHIC"!!! 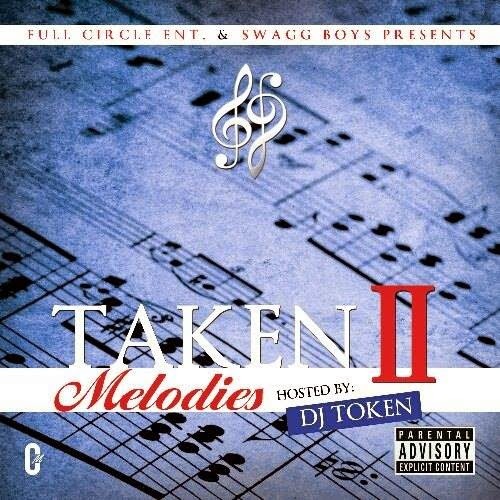 CT ARTIST: SOLO OFFICIAL MUSIC VIDEO "FATHERHOOD"
Solo is an independent artist from the Hartford/East Hartford area. Somewhat new to the scene but growing not only as an artist. Born Andrew Joseph Stegall to military parents, Andrew had the opportunity to live in different areas. After moving to Staten Island, NY with his mother and grandparents, he would spend countless hours in front of his grandfathers record player listening to all types of music. As he got older and settled in Hartford, CT he one day took a liking to piano and just played it as if he was born doing so. Being that his mother was not a fan of rap music in her household, this caused him to seek the sounds of hip-hop everywhere but home. At age 19 he decided to pick up the pencil and paper and create music of his own which led to 2 Ep's "Beginning of A New Error" 2009 and "The Darkest Hour" 2011. 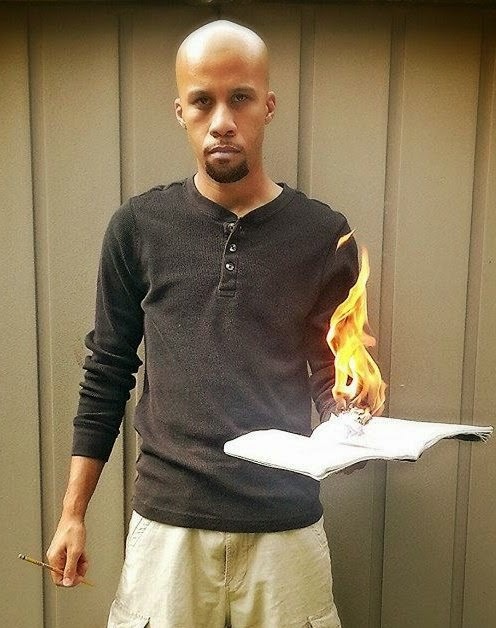 Now 3 years later he has decided to dust off his rhyme book and go all in with his 3rd project "End of A new Error"
Check out his video below for the track "Fatherhood", has a dope positive vibe, you can tell Solo is an artist that is true to himself and that is somthing I personally appreciate. STAY TUNED! 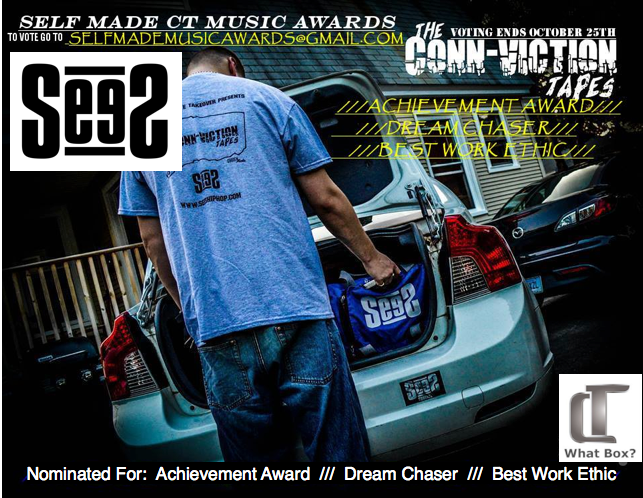 SELF MADE CT MUSIC AWARDS! Ya'll know I do not usually post industry or mainstream music. If I do I usually explain why I choose to do so. This needs no explanation. This is why you have a voice and a platform, thank you G-Unit! "THE CONN-VICTION TAPES" UPDATE!! 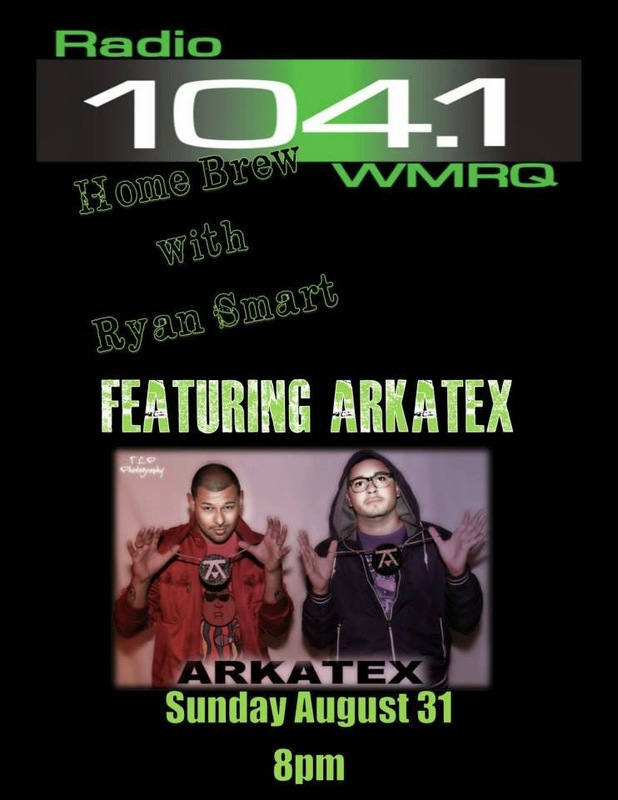 TUNE IN CT! I have been working on "The Conn-viction Tapes" project for a little over 2 months, this is what has been accomplished so far... I wanted to show how much grind something like this takes and how many people are involved to pull it off. Please show your support! What is "The Conn-viction Tapes"? 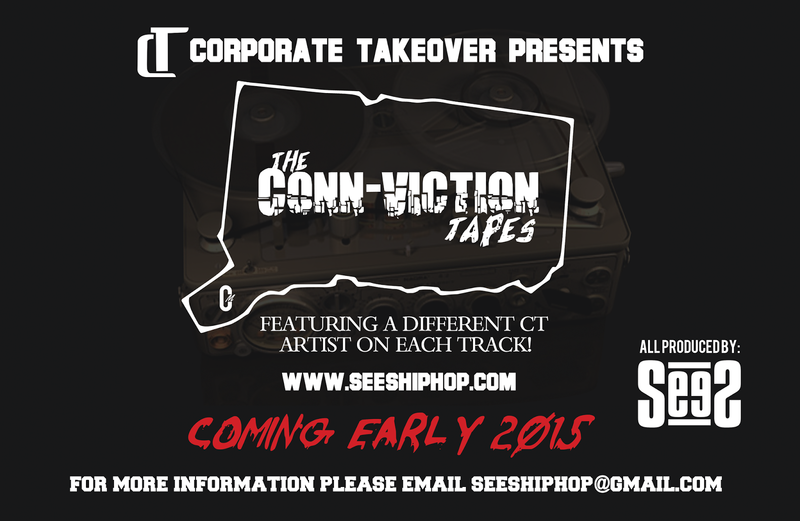 "The Conn-viction Tapes" is a Connecticut based album entirely produced by SeeS that will feature a different Connecticut artist in collaboration with SeeS on each track. The album is presented by CT Corporate Takeover and upon completion will be streamed online for free and be available for free download on various sites including SoundCloud and DatPiff. The recording process will be documented including videos, photos, and promotional tracks leading up to the release in early 2015. 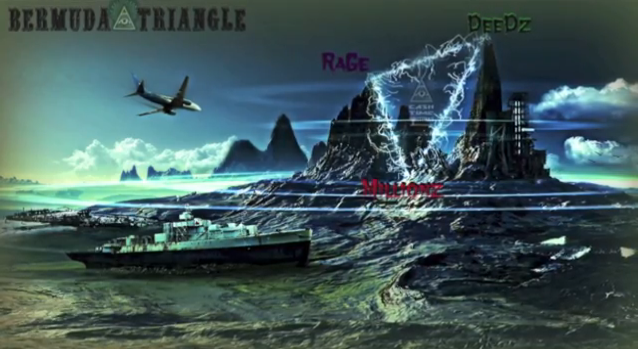 - First was the idea, concept and name, which was quickly followed by graphic artwork by Jeff Michaud of Chosen Media. - Then I began first with the artists I knew personally and locked them into the project. 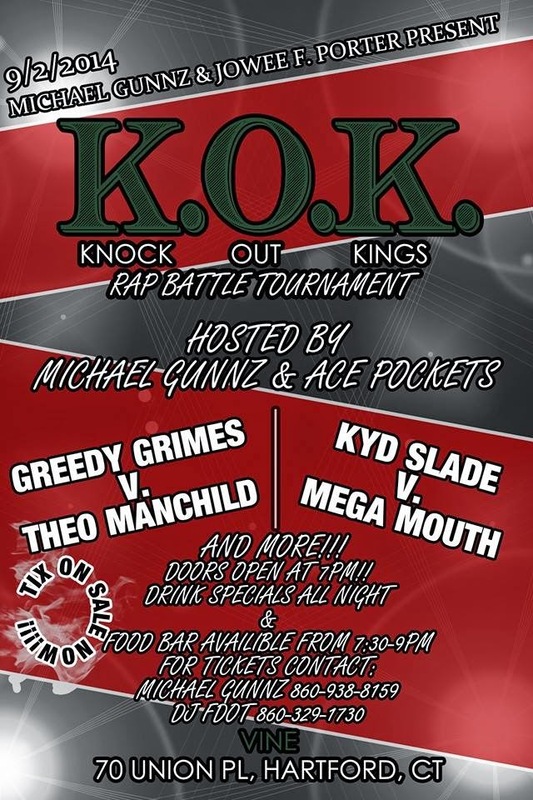 Shout out to Theo Manchyld, High Priest, and Rassko Lean. - As the buzz began to pick up I created the "Introduction Letter" and the artist contracts for appearances on the project. Shout out my lawyer, Joe Becker. - As more artists reached out to me about the project I could see the momentum building and Chosen Media created the poster you see above and a layout for T-shirts. I had the T-shirts made at Novel Tee's in Manchester and the Posters printed by Vista Print. - I then met with a few more artists in CT and arranged listening sessions in which I showed them beats I made and choose which tracks artists would appear on. Shout out Deedz, Williano, and Splat 860. - I was then invited to be a guest judge at two showcases in CT in which I promoted the project, and networked with more artists from the state. - Splat860 and I recorded his track in the Splat Cave! - Then I created the webpage for the project on my official website, www.seeshiphop.com! - Would also like to shout out the promoters in CT I have met with and have been involved in various ways over the last few months. Shout out Mic on Deck, El Vee, Chris Vaina, and Gold. Artists that are officially accepted on "The Conn-viction Tapes" project. Theo Manchyld, High Priest, Rassko Lean, Chosen, Williano, Splat860, Millz, Chizzle Rose, General P, Twiin, Arkatex, Tripsup, Deedz and more coming soon. This is what it takes to put a project like this together and we are not even half done. Besides countless hours making beats, working with artists, writing verses, attending events, posting artists on my blog, and recording with artists, it also takes the support of the artists involved and the support of the state. I ask of you to please help spread the word, tell your friends, stay tuned, and do what you can to make this project a major success. Failure for this to be one of the biggest projects ever released in the state is NOT AN OPTION. 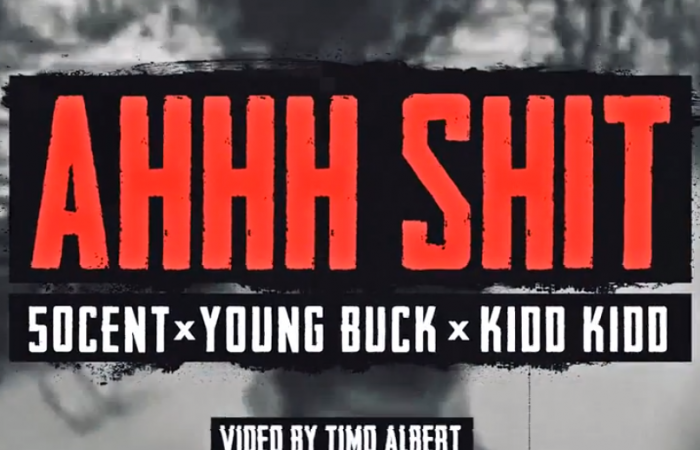 Check out the first promotional song and video for the project below. Much more coming soon!! SEES EPK IS COMPLETE! SHOW YOUR SUPPORT, CHECK IT OUT! CT REMIX: TRIPSUP FT. GENERAL P "LIU KANG"
I'm back from vacation and as I mentioned before I will be taking the blog up another notch due to the overwhelming success and visits the blog has been able to generate. I am happy to post any CT hip hop events, so promoters, artists, managers, reach out to me to have your events posted on the Official CT Hip Hop Blog. 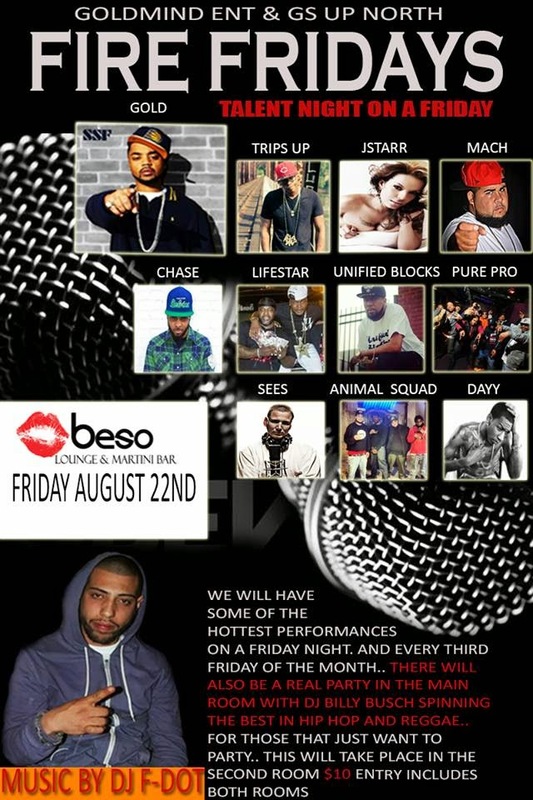 Be sure and come out to this event, I know these artists and already know this event is gonna be crazy! Shout out Micheal Gunnz and Jowee F. Porter!